I have a standard speaker package which i have just replaced the speakers, so have the front mid range and mini tweeters with a crossover. At the back i have single mid range on each side. The head unit is a Blaupunkt, but doesn't have enough power. I am thinking about an amp and noticed that at the back of the head unit there are more red and white phono connections and they also appear in the front by the spare wheel. The phonos in the frunk are most likely for a CD changer. 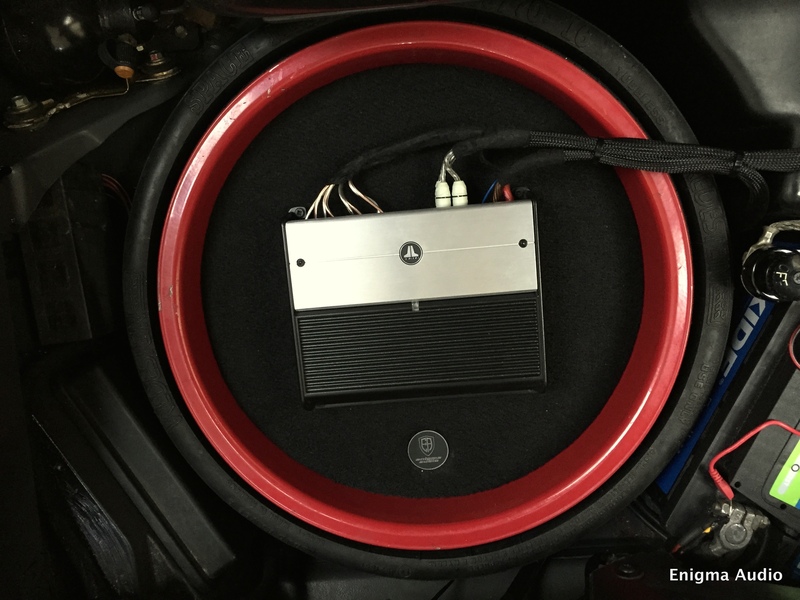 You will get ample power to drive the speakers without an amp if you use a Becker (ebay),Continental (Tore B) or Porsche Classic radio. I use a Becker Cascade in the 993 and a Porsche Classic in the 944 though I'd rather listen to the engine in the 993 or BB King in the 944. Thanks for the pointer on the CD changer, that makes sense, I could use that lead for the amp and just add another one. My head unit has 4x50watts, which is pretty good, but I think it needs more. I run a Fabspeed de-cat system and most of my soundproofing has been removed so the radio gets little use. The 944 is much quieter and I can actually hear the radio in that. I used to have Dansk sport silencers they do sound nice. Depends really on how loud you want the stereo and what speakers you have replaced them with. If the speakers are rated 150W plus then you probably need an amp to get them driven properly. they can be fitted under the seat, as can a sub, but see we are starting on the slippery slope! I have a version one Porsche classic head unit with replacement 250W morel speakers and a 2 channel 150W amp. I decided not to fit a sub. Hi, I have Hertz energy speakers, max 225W front woofers and 120W rear mid range. I don't want to fit a sub, but I think I need a 4 channel to get the best out of it? I am going to have a better look at the wiring today, if it doesn't rain and I can get the top down? Asterix, yes the head unit is 4x22rms, however I did buy it only a couple of years ago because of the functions, which really suit what I was looking for. I can see that you can get the Becker units, but not sure if they have enough power to negate needing an amp? If you are still using the small rear speakers in the cab then a 4 channel amp is prob best, you’d want to drive those separately to the bigger fronts. I disconnected my rears in my cab and use a 2 channel amp. Maybe one day I’ll fit a sub, but in a 90s cab to me it doesn’t feel right. welcome than the tyre roar present on an unavoidable motorway jaunt. The standard audio is beyond poor. You need component speakers, an amp (4 channel) and a subwoofer (self amped- under Seat look best) you also really want some form of Becker head unit. They look better than the Porsche classic HU as they are genuinely period. No, you are right, if you are happy with your recent head unit, at 22rms on that, the Becker's are not going to be any more powerful, so amp or sub (or both 😀) it is. Sub under driver seat. Amp inside spare wheel. The Becker has the advantage that Steve and the Illuminati won't cast you into the pits of hell, I think I've only got a Kenwood now to annoy them 👿 (plus, it really does work better with a phone, don't believe them). Whilst I do agree about the sound of the car being my own personal favourite listening pleasure when out for a drive. In my wifes' Boxster she found that the stereo just plain got lost in the wind noise and exhaust at anything over 40mph. I upgraded the speakers with some Alpine dual cones and that did clean up the sound quite a bit but that was probably down to more suitable materials and much more youthful cones than the 10 year old ones that came out. She is very keen to keep the dashboard looking standard and wasn't keen to replace the head unit. So for the next step I fitted one on these, after seeing it demonstrated at a car show http://www.caraudiodirect.co.uk/kenwood-ksc-sw11-compact-under-seat-150w-active-sub. It really gave the system a very useful lift for a modest investment and simple, discreet installation. 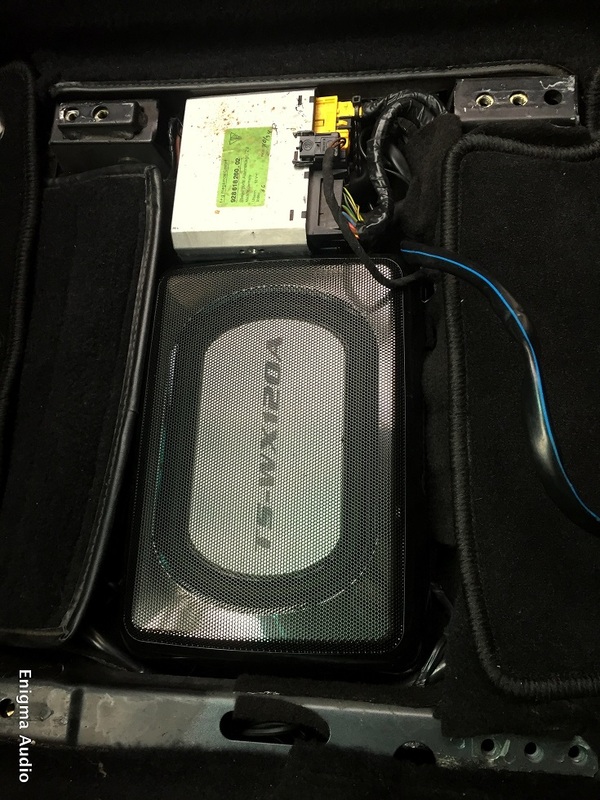 Pics - amp in spare wheel, sub under seat. OK, this is looking good for the amp in the spare wheel. I have found that a set of cables run from the head unit through a gromet, just above the pedals. consisting of power, left and right audio and what i thought was a din plug, but it looks like a special fitting, has anyone any ideas? Alpine Ai-Net CD changer cable - left/right audio, plus control signals and (IIRC) power too. 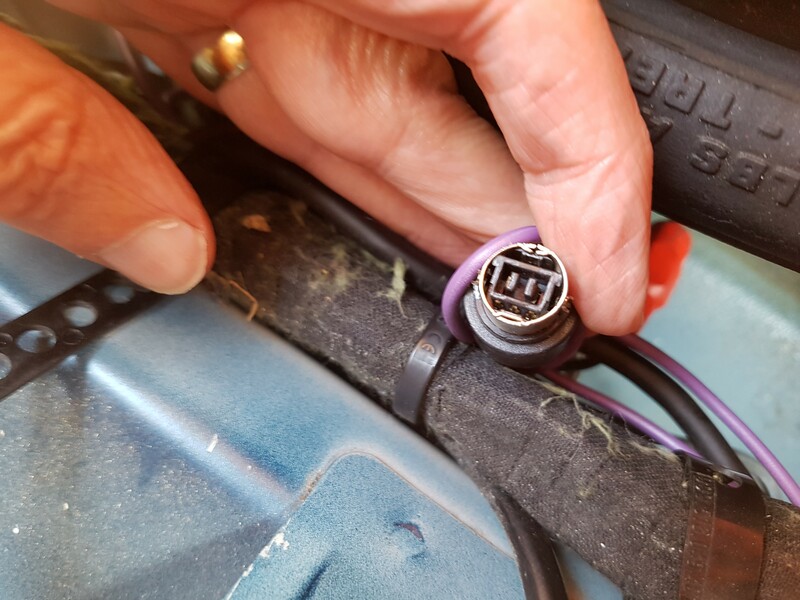 The other power and audio cables that you have most probably used to connect (the head unit) to an under-bonnet amplifier. OK well that means I can't reuse it, but at least I can run new cables through the existing gromet for the spare wheel amp. OK, I am now torn between spare wheel or under passenger seat for the amp. Can anyone tell me if you need/should have the great thick power cable going from the battery to the amp? This is going to be the deciding factor, if i have to run that to the passenger seat.